Offering you a complete choice of products which include 60w led flood day light, 100w led flood day light, 150w led flood warm light, 60w led flood warm light, 100w led flood warm light and 150w led flood day light. Best suitable for Indoor and Outdoor applications. Die casted aluminum housing and heat sink for best in class thermal management with black polyester epoxy powder coat. 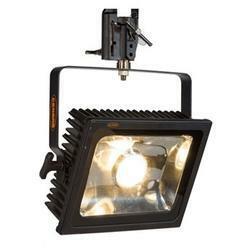 Optional: Also available with DMX dimming option. 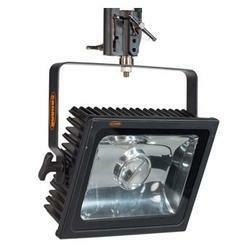 High power LED's are able to create accurate bright effects. Power Supply: AC 110 - 240V, 50Hz. 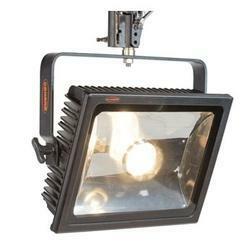 High-quality Canara LED Flood Light used as an Indoor / Outdoor Stadiums flood light, Industrial Light, Facade lighting, Area Lighting and Stage / Auditoriums etc. Die casted aluminum housing and heatsink for best in class thermal management with black polyester epoxy powder coat.